Virgin Australia posted a fifth consecutive annual loss in 2016/17 as the airline group battles a resurgent Qantas amid a subdued domestic market and books one-off charges from restructuring its fleet. The airline group has reported a statutory after tax loss of $220.3 million for the 12 months to June 30 2017, an improvement from a loss of $260.9 million in the prior corresponding period. Virgin Australia’s last full year statutory profit was in 2011/12, the year Qantas grounded its entire fleet as part of a dispute with unions. 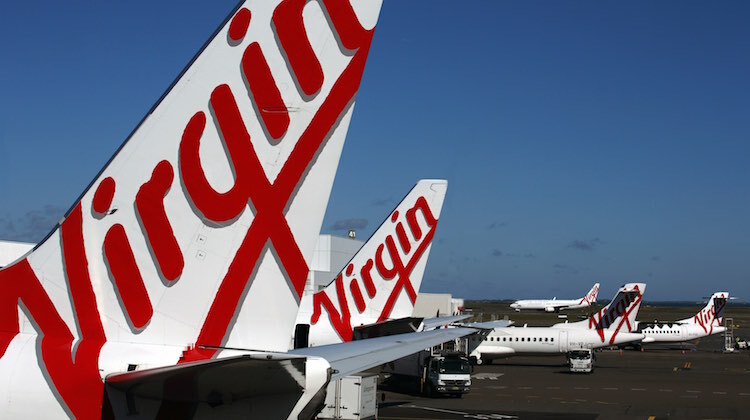 Revenue rose half a per cent to $5.05 billion, Virgin Australia said in a regulatory filing to the Australian Securities Exchange on Thursday. 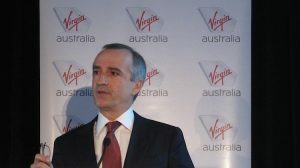 “The group’s statutory result was impacted by restructuring charges predominantly from the Better Business program,” Virgin Australia chief executive John Borghetti said in a statement. Further, Borghetti said the three-year Better Business program was tracking ahead of schedule. In 2016/17, Virgin Australia began removing all 18 of its Embraer E190 regional jets and eight of its 14 ATR turboprops as part of fleet simplification efforts. Further, the airline group’s Better Business program looks to reduce costs by $350 million a year in net free cash flow savings by the end of 2018/19. It has also sought to bolster its balance sheet through paying down debt and boosting free cash flow. Those efforts were “yielding positive results”, Borghetti said. “Today, we reported the first positive free cash flow result since the 2012 financial year and the group’s highest reported cash balance as at 30 June,” Borghetti said. The company was also in the red on an underlying basis, which does not include one-off charges and was regarded as the best indication of financial performance. It posted an underlying loss before tax of $3.7 million, a deterioration from a profit of $41 million for 2015/16. Virgin Australia said its domestic operations suffered a 69 per cent decline in underlying earnings before interest and tax (EBIT) in 2016/17 to $92.9 million, compared with $162 million in the prior year, with “subdued trading conditions impacting” the overall performance. However, on a positive note, 2016/17 fourth quarter underlying EBIT for Virgin Australia domestic improved to $27.3 million, from $19.4 million a year earlier. Borghetti said there was reduced demand for regional travel and for corporate travel. Virgin said it flew 5.9 per cent fewer domestic sectors in 2016/17 to better match capacity with demand. There was positive news on the international front, with Virgin Australia’s overseas flying returning to positive underlying EBIT in 2016/17. The international operations eked out underlying EBIT of $500,000 for the year, up from a $48.8 million underlying EBIT loss in the prior year. Virgin Australia’s low-cost arm Tigerair Australia suffered a $24.3 million underlying EBIT loss in 2016/17, compared with a $2.2 million underlying EBIT profit a year earlier. The company said the result was impacted by Indonesia’s cancellation of Tigerair’s authorisation to operate flights to Bali, with the budget carrier’s “domestic operations profitable”. In terms of the outlook, Virgin Australia guided the market to expecting an improved first quarter 2017/18 result. It did not provide full year earnings guidance. “Given underlying performance improvements in the fourth quarter of the 2017 financial year and based on current market conditions, we expect the positive momentum seen in the fourth quarter to continue and that underlying performance for the first quarter of the 2018 financial year will improve compared to the first quarter of the 2017 financial year,” Virgin said. Borghetti said the focus in 2017/18 would be on lowering costs, managing capacity in response to demand and continuing to strengthen the balance sheet. “These actions will support future earnings growth and the delivery of long-term value for all of our shareholders,” Borghetti said. Yikes!! What can you say? How many more years can they stretch out losses attributable to restructuring expenses ? The “”Better Business”” model better be spectacular! Virgin Aust. seem to be the only airline around that can’t make a profit from ATR’s and the passenger popular Embraer’s – seems that anything other than a B737 or A330/B777 they can’t figure out how to utilise them. Other airlines – including in Aust/NZ seem able to make consistent profits from these Aircraft!! Again, we must question the quality of decision-making in VA! This must be wearing very thin with their shareholders? FIVE consecutive years’ of LOSS! How many businesses’ are kept going with this type of track record? With all the MILLIONS’ $$$$ being poured into it from its’ partners’, it STILL manages to lose money. Something’s quite amiss, & has been for a long time. This cannot go on surely, & I’m amazed monies’ are still being put into it. a lot of the fleet needs to change.domestically 737’s are the only thing other than an a330 keeping them afloat and 777’s for their sole international service to LA plus the newly launched using the a330’s to HONG KONG.the rest of the fleet is just insane.one of each is all we need.their regional division with the exception of the ATR’S has some of the oldest fleets going.why not cut their losses and hand that part to a partner carrier.TO THE USA they can put a VA Code onto the back of a Delta flight and the rest speaks for itself.